I borrowed the skull image from the Baron Samedi Swatch. See the full item here at www.007collector.com. 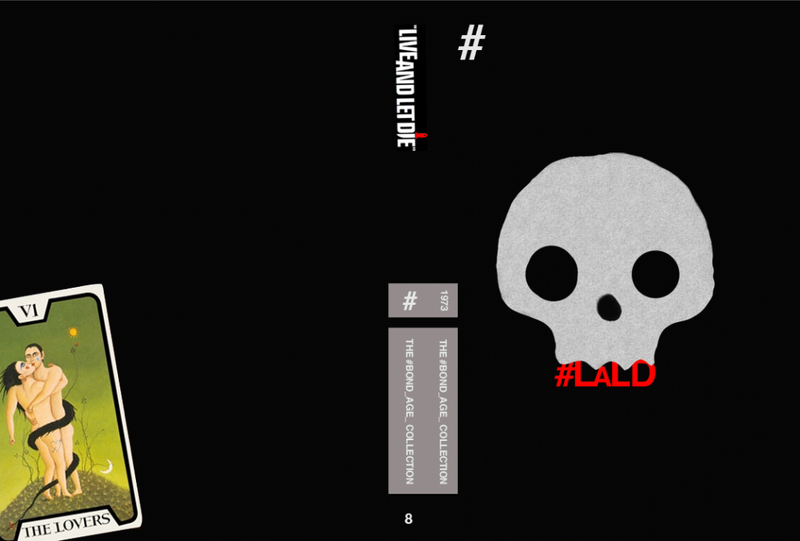 With a little bit of tweaking, it became the perfect centerpiece for the Live and Let Die #Bond_age_ Collection DVD Cover. The tarot card on the back, of course, is the card used by Bond to fool Solitaire into breaking her indentured servitude (good psychic-in-residence gigs are hard to come by) to Kananga/Mr. Big.